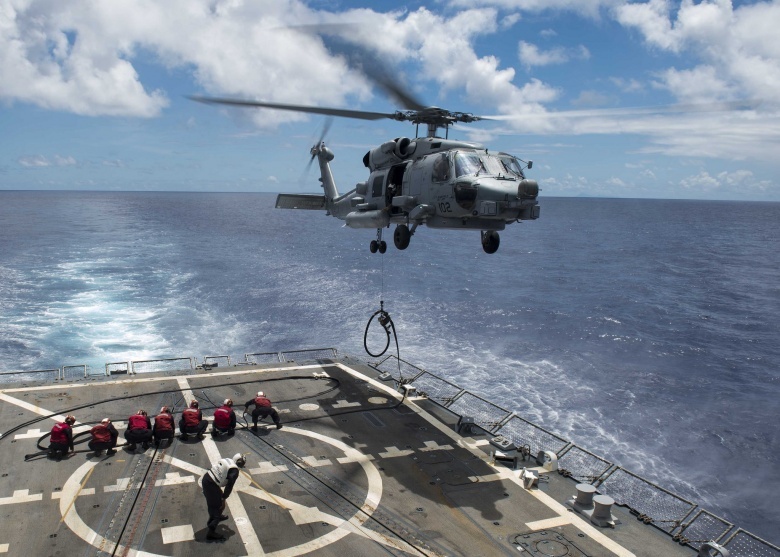 Home » Articles » Is the U.S. Navy Right to Outsource Naval Aviator Training? Is the U.S. Navy Right to Outsource Naval Aviator Training? The Chief of Naval Air Training (CNATRA and pronounced as if it were Ol’ Blue Eyes) has two problems, both common to many parts of the U.S. military. First, he has to conduct training for helicopter pilots using a fleet of old, obsolescent and expensive to maintain helicopters. The cost to modernize these 1970s-era helicopters was prohibitive. As a result, CNATRA expected to face diminishing availability of training helicopters over the next decade that would impact his ability to meet the demand not only from the Navy but the U. S. Marine Corps, U.S. Coast Guard, and foreign military partners of qualified rotary-wing pilots. Second, there is barely enough money with which to maintain this old fleet and absolutely none in the Navy’s acquisition budget for new training helicopters, even though it would be a variant of a commercially available platform. 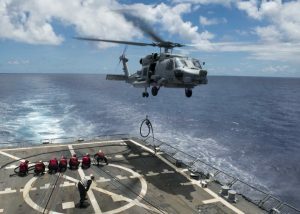 The Navy is struggling to meet the demand for the advanced MH-60Rs and working towards procurement of a variant of the V-22 Osprey for moving people and supplies to and from ships. The Navy was in danger of creating a future in which it had the world’s best operational fleet of helicopters and tilt-rotor platforms, but an inadequate supply of trained pilots to fly them. If you or I had the problem of needing to replace an old, expensive to maintain vehicle but didn’t have the money to buy a new one outright we would consider leasing. Businesses, including airlines, freight haulers and construction companies, lease their equipment all the time. This allows them to use other people’s money to acquire the needed platforms and hardware while avoiding the long-term obligation to manage aging equipment, pay for modernization or find someone willing to buy the old hardware so they can get newer capabilities. By leasing and not buying, companies are able to better manage their financial resources, continually refresh their equipment stock, avoid a lot of long-term maintenance and upgrade costs and simplify management requirements. Faced with a seemingly insoluble problem, the Navy looked for alternative approaches to that of acquiring a new fleet of training helicopters and having to raid procurement accounts that were already overstretched. Naval Air Systems Command (NAVAIR) went out to industry for solutions. What NAVAIR heard back was basically a consensus response. Do what the private sector does, use commercial best practices. Get rid of your aging “car” and lease a new one. Let the private sector spend the money for a new fleet of training helicopters that the Navy would lease. The private sector would also be responsible for maintaining this fleet and finding buyers for these platforms when the “lease” ran out. In fact, the proposed solution went even farther. Let the private sector take over the entire job of helicopter pilot training. Such an approach would take advantage of the large number of companies already operating in the global aircraft maintenance, logistics support and flight training space. The Navy would still provide direction and oversight, set standards and, if it chose, define the curriculum, write the manuals and even conduct qualification tests. But acquiring, maintaining and operating the fleet and supporting training systems would be the responsibility of a private contractor. Since ground support, aviation maintenance and ground instruction are already conducted by private concerns, these could be bundled together with the hardware contract. Such a comprehensive services model for helicopter pilot training would provide the needed helicopters while simultaneously solving the Navy’s upfront budget problem, reducing long-term maintenance costs and streamlining and simplifying the management and contracting for support services.